The Capital has been in turmoil for the last few days and I couldn’t update my blog in time due to a well-deserved holiday break. But here it is and it is time to clear the fog and misconception that the news outlets have been feeding people lately. It just simply failed to renew the license and the decision is appealable. Uber can continue to operate during this appeal and have not lost its license just yet. The appeal can be time-consuming and I am sure that a long legal battle will follow. I’m not ready to speculate how long it will take, what the outcome will be and whether they will manage to win their license back. It could be months, maybe years of appealing and court hearings. UBER’s approach to how medical certificates are obtained. 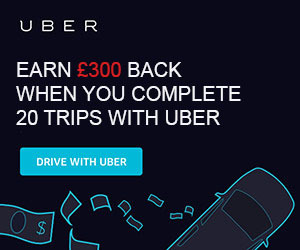 UBER’s approach to how Enhanced Disclosure and Barring Service (DBS) checks are obtained. UBER’s approach to explaining the use of Greyball in London – software that could be used to block regulatory bodies from gaining full access to the app and prevent officials from undertaking regulatory or law enforcement duties. While the first and last ones are clean Uber’s fault, the middle two are issues with TFL itself and, in my opinion, have nothing to do with UBER or any other Private Hire company in London. We all know that there are dodgy private hire centres when you can go and get your license for a few extra quid. All the big PCO license “schools” have a doctor (GP) on staff who doesn’t care one bit about your health or pre-existing conditions and just stamps your form just so you can get the dreaded license. It is TFL’s job to check those medical certificates and DBS checks. TFL is the body issuing licenses to private hire drivers, not UBER. Yes, there are issues with drivers and the way medials and criminal checks are obtained – no questions there. There are GPs whos job is only that – to issue medicals to dodgy drivers who have not passed medical checks with other GPs. We all know that. The background checks and the criminal checks for UBER drivers and Black Cab Taxi drivers ARE THE SAME. There is no difference in the check that both driver types have to pass. The only difference is the Knowledge. Are black cabs safer? It’s hard to say. It’s not like there are no convicted rapists from the Cabbie trade. Are there? A few names pop to mind but I guess you can Google them yourself too. What will happen to Uber drivers after the ban? If, and that is a big IF, Uber loses its license what will happen to all the drivers that currently work for the company? That’s a very good question and I can not even try to answer that. It will be a huge issue and a lot of drivers and companies will take a big hit. Uber driver earnings will suffer and many might lose their newly purchased vehicles too. There is a whole industry relying on Uber to continue to operate. The number of drivers working for Uber is over 40000. These numbers are estimates, of course, and I doubt that they currently represent all the drivers that are relying solely on Uber for income. As I have mentioned before, Uber is an ideal part-time job for many and they will likely not feel the loss of income that much. But there are thousands of full-time drivers that have purchased or leased expensive cars to drive for Uber. 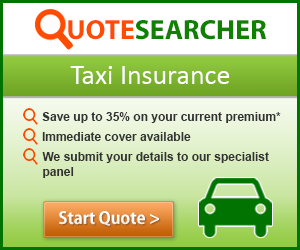 There are hundreds of PCO car hire companies that rely on Uber drivers for business. If that income stream dries up they will have no other option but close the doors. There will be an influx of unemployed private hire drivers flooding local cab offices with job applications. At least until the next Uber shows up and I am sure something else will fill the void if Uber gets banned. So what happens now with UBER in London? At the moment it is business as usual. No, they have not been banned nor stripped of license and closed down. There is an Uber petition going on with signatures closing on the million mark for the decision to be reverted. Time will tell whether it will succeed or not. London’s Mayor, Sadiq Khan, made a statement condemning UBer’s practices and made a strong political statement about London’s innovation and tech future, pleasing the Cabbie’s lobby. I don’t write about politics so I’ll leave it there and keep my personal opinions to myself. If you follow this blog you might have noticed I am not a big fan of the Black Cab trade and their antics, let alone the exuberant prices they charge for driving you from point A to point B. They are not the biggest fans of new tech and disruptive companies like UBER. Most Uber drivers can tell you all about the daily abuse on the streets that they receive from these people. But there is a huge demand for services like Uber. Taxify tried to get a piece of the pie but failed miserably. Their license lasted or day or two before being revoked. They were much cheaper than Uber too. I’m sure they would’ve gained traction if they managed to get their app right and build the driver and customer bases. What makes Uber unique is that the tech is top notch. The app is a work of art and the ease of use is phenomenal. We all know that – there are no phone calls, waiting and wondering whether the local cab office will send a driver today or not, cash only transactions( cough * Black Cabs * cough ) and other antics. It is simple and easy. And London needs that. The amount of people that use Uber in London on a daily basis is staggering. Cheap prices and reliable transportation make people use it more and more every day. If you want UBER to continue to operate you can sign the petition here. I would love to hear your comments about the situation and how will the ban affect you as a driver.